As a newly-trained Montessori teacher, I was given the task of submitting several, formal, self-reflections and self-assessments during my intern year. These were to be read by my immediate supervising Montessori teacher as well as the administrator of the Montessori school. 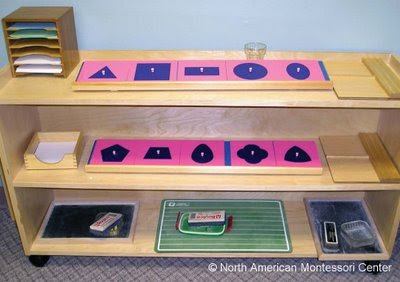 Although I had completed my training and felt confident that I knew the Montessori philosophy and method, I knew I still had a lot to learn and was nervous. I had never been asked to do a formal self-assessment before and was uncertain as to the validity as well as the reasoning behind it. Self-assessment provides the opportunity for Montessori teachers at all stages of their career to reflect upon their own practices in the Montessori classroom and environment. There are two stages of assessment: formative and summative. Formative assessments are used for continuous learning and improvement through ongoing reviews, observations, and assessments. They are used to give constructive feedback to the learner. Summative assessments of teachers are generally given at the end of the academic year and are used in the decision to issue new teaching contracts. Self-assessment provides Montessori teachers with the opportunity to record their self-reflections as a practicing classroom teacher. These observations include the curriculum, the method, the philosophy, as well as interactions with students, parents, and colleagues. Montessori teachers are in a constant state of self-reflection as they observe and interact with their students. The self-assessment tool allows these private reflections to be shared among professionals, which further allows for authentic and constructive feedback. It also provides the background for an action plan for specific areas where improvement needs are noted. As with Montessori student evaluations, Montessori teacher self-assessments should consist of written narrative responses. These responses provide the most accurate means for self-reflection. It is important for all teachers in your Montessori school to know and apply your school’s mission statement. It is also beneficial to post it in a highly visible location for all to see, such as in every classroom as a reminder of the beliefs and philosophy of the school. In my self- assessments, I was first asked to quote the school’s mission statement in my narrative. Later self-assessments required that I rewrite it in my own words. Some schools ask teachers to incorporate the school’s mission statement with their own personal mission statement, reflecting on their personal beliefs and core values. After completing the self-assessment, a meeting should be held with the administrator to set professional goals for the teacher. Afterward, the teacher should take a few moments for self-reflection: How successful was the meeting? How realistic are my goals? What was most helpful about the meeting? The teacher evaluation process does not need to be a stressful activity. It can be a positive and constructive experience in which the whole Montessori community benefits. Information about the role of the Montessori teacher is detailed in the NAMC Classroom Guides. All NAMC Classroom Guides include a CD-ROM containing forms for daily assessment. © North American Montessori Center - originally posted in its entirety at Montessori Teacher Training on Tuesday, March 3, 2009. Can you given an example of a self assessment for Montessori teachers please?